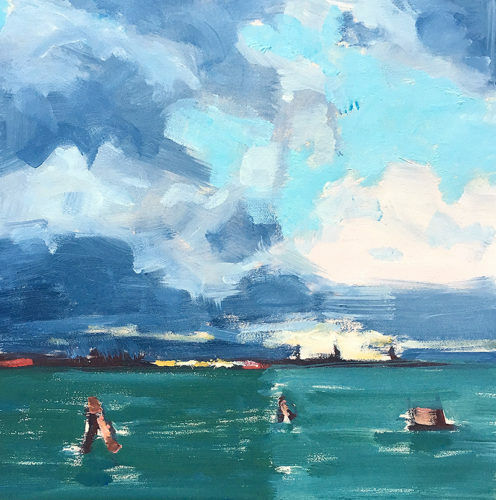 This entry was posted in Landscape Paintings, Seascape Paintings and tagged 6 x 6 inches, arsenale, canal, italy, kevin inman, landscape, oil on panel, seascape, venice on December 16, 2016 by Kevin. Since I grew up in a military family we moved around a lot. 3 elementary schools, 2 middle schools, 2 high schools around the US and in Japan. 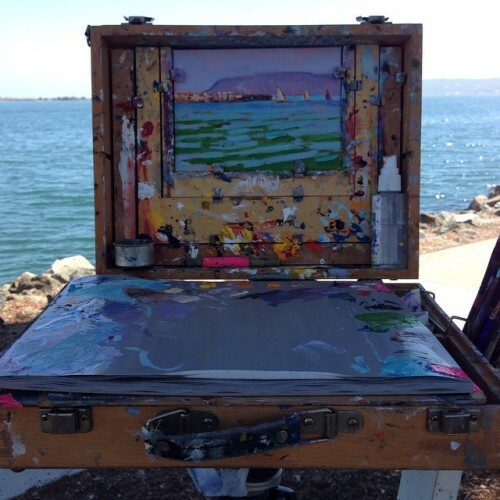 Monterey, CA was the 2nd place and that’s why I wanted to paint the landscape here. 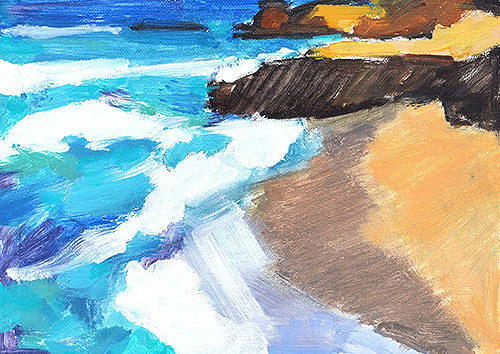 This entry was posted in Landscape Paintings, Seascape Paintings and tagged 16 x 16 inches, big sur, garrapatta, kevin inman, landscape painting, monterey, oil on panel, seascape on November 28, 2016 by Kevin. Big Sur by Bixby Bridge. From the series, Nostos. Growing up in a military family, I lived in many places as a child. 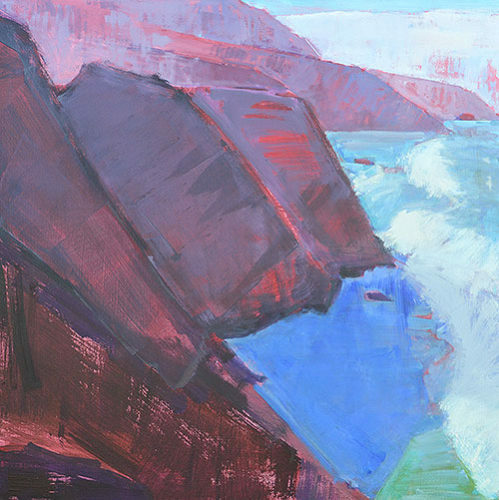 Monterey was the second one, and that’s why painting Big Sur was meaningful to me. 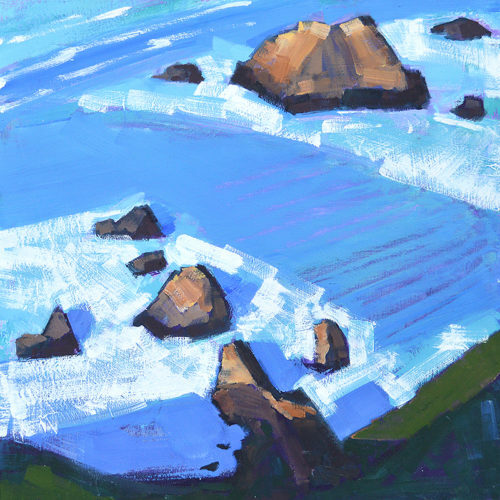 This entry was posted in Landscape Paintings, Seascape Paintings and tagged 24 x 24 inches, big sur, california, landscape, oil on wood, seascape, surf on September 16, 2016 by Kevin. Painted in OB a few weeks back on a windy gray day. 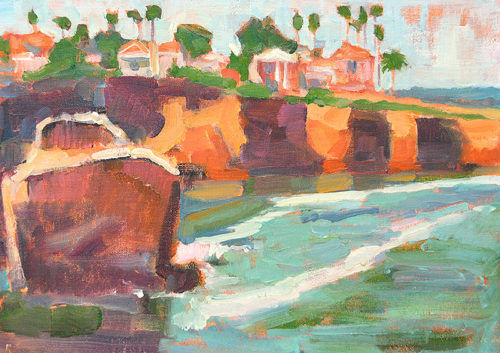 This entry was posted in Landscape Paintings, San Diego Paintings and tagged 5 x 7 inches, oil on linen on panel, plein air, san diego, seascape on January 14, 2016 by Kevin. 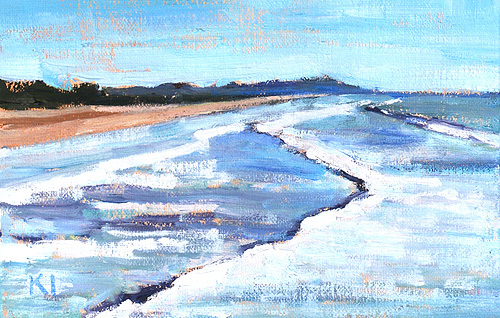 A nice, relaxing morning painting at the beach. 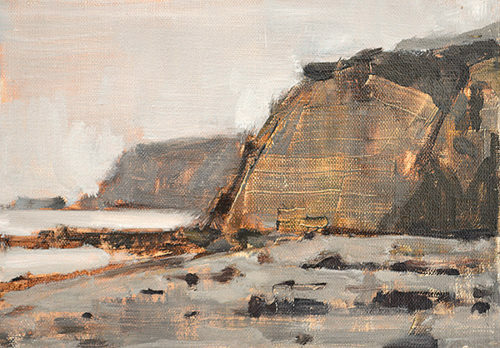 This entry was posted in Landscape Paintings, San Diego Paintings, Seascape Paintings and tagged 5 x 7 inches, beach, california, landscape, oil on linen on panel, san diego, seascape on August 13, 2015 by Kevin. Painted yesterday on Harbor Island. 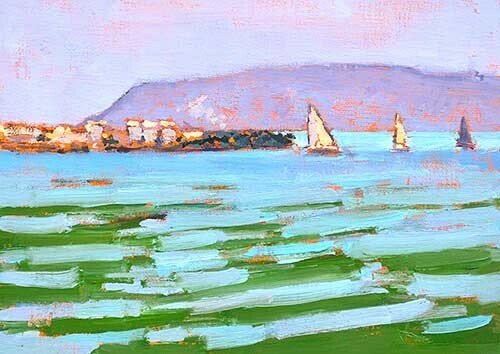 This entry was posted in Landscape Paintings, San Diego Paintings, Seascape Paintings, Urban Landscapes and tagged 5 x 7 inches, oil on linen on panel, plein air, sailboat, san diego, san diego bay, seascape, water on June 25, 2015 by Kevin. Painted on location in OB. 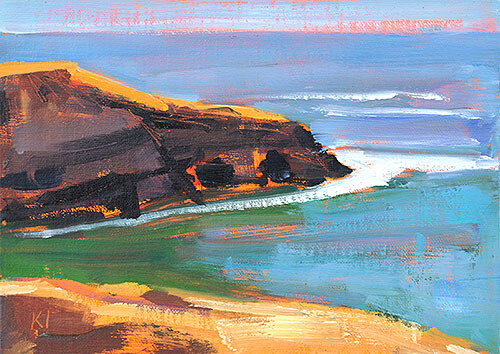 This entry was posted in Landscape Paintings, San Diego Paintings and tagged 5 x 7 inches, california, ocean beach, oil on linen on panel, san diego, seascape, sunset cliffs on May 21, 2015 by Kevin. 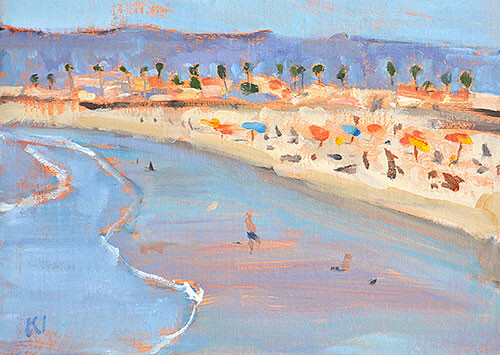 Painted from the OB Pier. 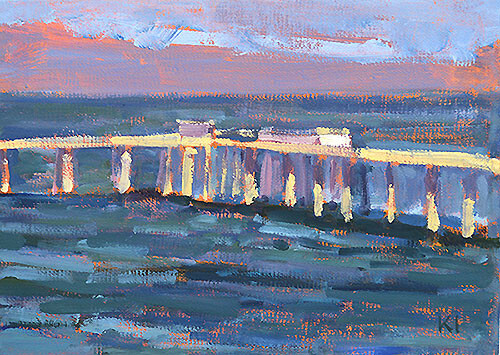 This entry was posted in Landscape Paintings, San Diego Paintings, Seascape Paintings, Urban Landscapes and tagged 5 x 7 inches, ob pier, ocean beach, oil on linen on panel, san diego, seascape on March 29, 2015 by Kevin. 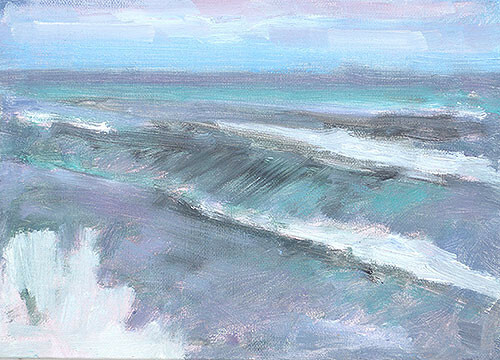 This entry was posted in Landscape Paintings, San Diego Paintings, Seascape Paintings and tagged 5 x 7 inches, OB, ocean beach, oil on linen on panel, pier, plein air, san diego, seascape, water on March 12, 2015 by Kevin. 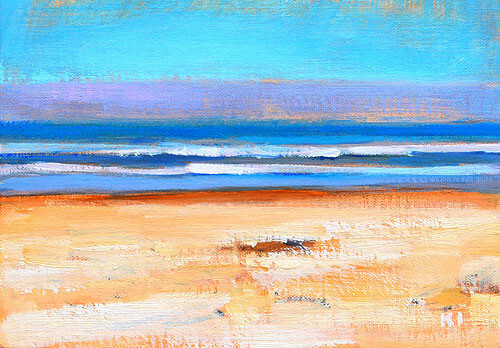 This entry was posted in Landscape Paintings, San Diego Paintings, Seascape Paintings and tagged 4x6 inches, oil on linen on panel, pacific beach, san diego, seascape on March 7, 2015 by Kevin. Painted on location in Ocean Beach. 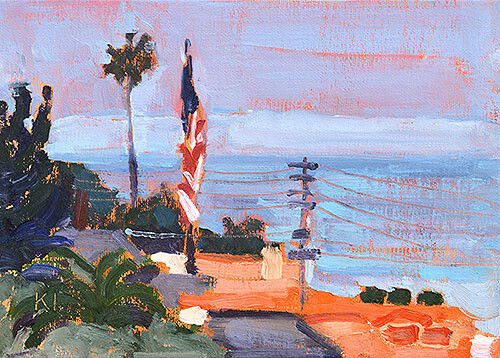 This entry was posted in Landscape Paintings, San Diego Paintings, Seascape Paintings and tagged 5 x 7 inches, american flag, california, OB, ocean beach, oil on linen on panel, san diego, seascape on February 27, 2015 by Kevin. Painted off the Oceanside Pier. A lot of nice atmosphere today. Some people came up asking my opinions about marijuana for an alleged public service video, but I just told them I didn’t have any opinions/ marijuana. 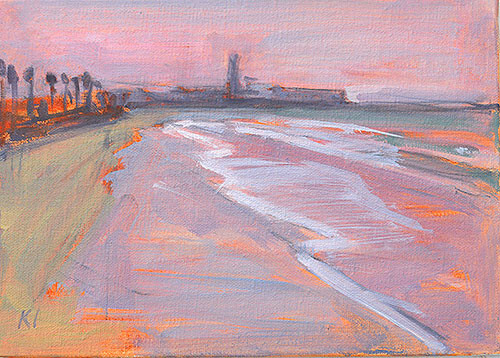 This entry was posted in Landscape Paintings, San Diego Paintings, Seascape Paintings, Urban Landscapes and tagged 5 x 7 inches, california, haze, oceanside, oil on linen on panel, pier, san diego, seascape on February 19, 2015 by Kevin.